The first topic up for discussion was diversifying the upstate economy. Molinaro affirmed that “upstate New york needs to be treated with more respect.” Both Hawkins and Miner want to invest in infrastructure, with Hawkins focusing on clean energy and mass transit. He plans to tax the rich to give more funding to the Metropolitan Transit Authority (MTA). Sharpe had an opposing approach. In New York’s metropolitan regions, it is worse than the national average of 62% of jobs not supporting a middle-class life: New York City, 67%; Nassau/Suffolk, 76%; Albany, 63%; Syracuse, 64%; Utica, 66%; Binghamton, 68%; Rochester, 64%; and Buffalo, 63%. Howie Hawkins, a recently retired Teamster in Syracuse, is the 2018 Green Party candidate for Governor of New York. Howie Hawkins and Jia Lee have outstanding positions on the education issues most public school parents care about, whether it’s keeping the cap on charter schools, more equitable education funding, reducing class size or reforming mayoral control; see their surveys here. Jia, in particular, is a NYC teacher and has testified eloquently before Congress on the damage done by high stakes testing. In contrast, Governor Cuomo is still captive to the charter lobby. He just received $130,000 from donors with ties to the charter school industry, including the heirs to the Walmart fortune, Eva Moskowitz’ PAC and others. During his one debate with Mark Molinaro, Cuomo said he would sit down with Mayor de Blasio to try to persuade him to give charters more space in our public school buildings. 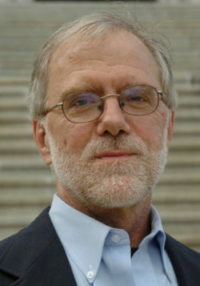 The Green Party this weekend released its first TV ad of the campaign, featuring gubernatorial candidate Howie Hawkins. The ad has already appeared on social media, but will play on cable TV the Syracuse and Albany markets. Hawkins, who ran in 2010 and 2014, pointed to the safe lead incumbent Democrat Andrew Cuomo has in polling over Republican Marc Molinaro and that voters can “send a message” by backing his candidacy. “I am the only progressive remaining on the ballot in New York. With Cuomo holding a safe double digit lead over Molinaro, voters need to send Cuomo a message that they demand action on climate, jobs and wages, single payer health care, and progressive education reform,” Hawkins said. Hawkins is one of several independent party candidates running for governor this year, including Libertarian Larry Sharpe and Stephanie Miner, the former mayor of Syracuse and a Democrat running on the Serve America Movement ballot line. At the forum, other gubernatorial candidates criticized Mr. Cuomo for mismanaging economic development efforts—two former advisers were convicted of federal corruption charges this year, though the governor has never been accused of wrongdoing— and for chasing political glory over governmental substance. “Are we going to give Cuomo a free ride, or are we going to demand more?” Green Party candidate Howie Hawkins asked. A supporter of his campaign attended the debate in a chicken suit, wearing a Cuomo sign. ...Between the Green Party and the WFP, it may come down to a matter of ballot placement, depending on which one fares better. The WFP has made a significant showing this year by backing several progressive upstarts in state Senate races and successfully deposing several incumbent Democrats, putting them squarely in the spotlight, while also initially backing Cynthia Nixon and Jumaane Williams for governor and lieutenant governor until they lost in the Democratic primaries. Hawkins has also shown a fare bit of success on the Green Party line, pulling in 184,419 votes in 2014 compared to 126,244 on the WFP line for Cuomo. Former Syracuse mayor Stephanie Miner (2 percent), who is making an independent bid for governor, and Green Party nominee Howie Hawkins (2 percent) of Syracuse were struggling to break out of the pack days before the election, the poll found.